I think you've got to first start with, and I take my clients through this as well, when we do a podcast, start with the “why.” Why are you doing the podcast? Then lets reverse engineer from there. They call it pod fade. A lot of people go through that pod fade where they do eight episodes. It's roughly the time where they tend to fade out. They just go in all in, all out and they find out it's not sustainable. The next thing I do is assess how comfortable they are with technology and see what their budget is. Then I recommend the equipment for them to what they use because everyone's equipment is going to look different. Figure out a routine for yourself that works for you. Check out how many apps that you're on because if you can be on more apps, you can reach more people because not everyone listens to Apple Podcast even though they have the majority of the market share. To successfully market a podcast ask: What's the best day to release your podcast? The best day is the same day as the last day. Doug: Well, welcome back listeners to another episode of Real Marketing Real Fast. 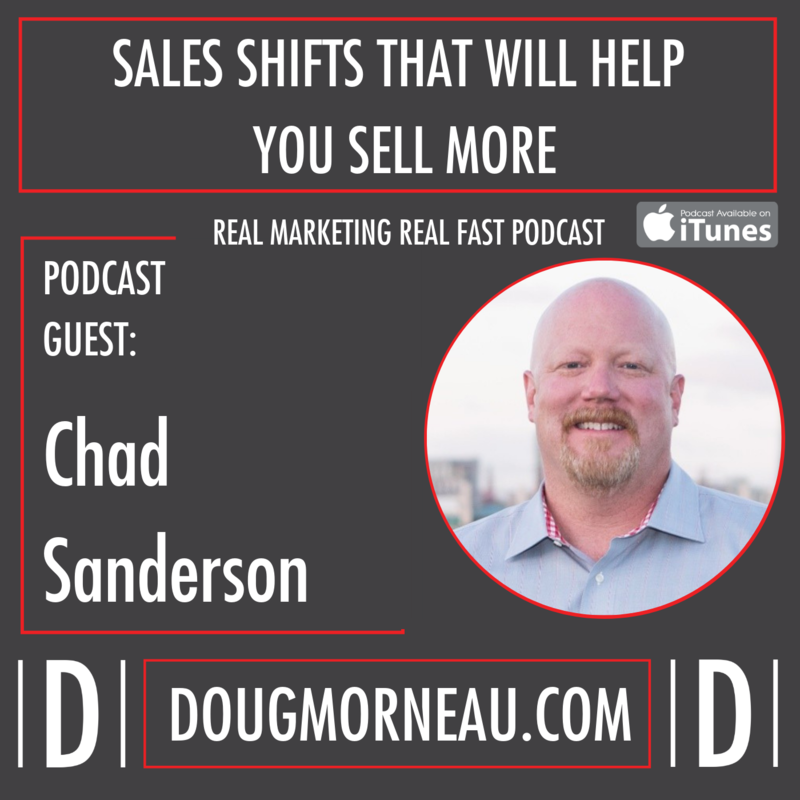 Today, our conversation is all going to be around podcasting, the benefits, the pitfalls and how to leverage a podcast to grow your brand, business and/or company. In the studio, I've got joining me Ginni Saraswati and she is an award-winning journalist and the founder of Ginni Media. We had a conversation, which I'm sure you're going to enjoy. You'll very quickly pick up her expertise in her many years on the air by her booming, clear and beautiful voice. Ginni is an award-winning journalist. She's known to stun many personalities with her quick-witted introductions on air tactics. She left Paula Abdul in a laughing fit and have Anna Brown choking. Doug: She has interviewed many people including k.d. lang, Jennifer Beals, Ruby Rose, and Martina Navratilova and the list goes on. She has launched her new brand, her new podcast, The Ginni Show: Curry, Comedy, and Connection, which invites listeners to follow the hilarious journey and the life of a young Sri Lankan gay immigrant woman growing up in Australia with guest appearances from Ginni's aunties, 170 cousins and celebrities. Ginni Media is a boutique podcast production company serving the vision entrepreneurs, the celebrities and influential organizations around the world. She specializes in podcast production and content repurposing. Doug: They provide concierge-style service to ensure your voice is literally being heard where it needs to be. I'd like to welcome Ginni to the Real Marketing Real Fast Podcast today. Hey, welcome, Ginni. I'm super, super excited to have you on the show. Looking at your bio and background, all the stuff that you've done in media, new media, and now a fellow podcaster, I guess you've been podcasting for, like you said, two, three years. Ginni Saraswati: Yes, I launched The Ginni Show, which is as you can tell, Doug, a very narcissistic name, but it was purposely and intently called that because I was kind of ready to step into my own with podcasting. It's been a journey of two and a half years for The Ginni Show. It's unpacked and unfolded so many opportunities for me and so many I guess lessons of growth internally. I've learned so much about myself and the behaviors of other people that really bring value to living your happiest life. Podcasting for me has opened up so many things, which I'm sure we'll talk about in this podcast, but yes, two and a half years. Ginni Saraswati: You probably know too, Doug, that you're talking to a podcaster so you may have to tell me to shut up because we will literally talk the whole way through. I'll add maybe 10 minutes. Ginni Saraswati: Well, what happened was I was in college. I was studying arts, creative arts, so it was primarily writing and performance arts. When I started working at a radio station, I was working for free for about nine years on and off. I did the morning shift, which is not an easy shift, especially if you've got a college degree to finish and you try to juggle your full-time job or what not. But getting up at 4:30 AM, making sure you're there at the station by 5:15 so you can do some show prep before you're on air by 6:00 or 6:30 AM. It was a big learning curve for me because one thing that I learned about myself was sometimes I'm not the best morning person. Ginni Saraswati: That's the first thing, but secondly, knowing the fact that I wasn't the best morning person, the fact that I got up at 4:30 AM without fail to be there for the breakfast show, it just demonstrated to me how much I loved radio and how much I loved being on air and creating that content. Obviously when the iPod came out and podcast started to pop up and FM stations were like ripping off certain interviews from the audio log and creating them into podcast, it kind of came to a point where I was just doing this as a side hustle because I was used to just doing radio on the side or podcasting on the side. Ginni Saraswati: But it got to a point where when I started doing my day job because I was struggling kind of culturally because you're taught you need to have a job that's steady and stable and I hadn't seen what I kind of wanted to do in radio. All I knew is I love creating content. I love being behind the mic. I love putting the podcast out and talking to these amazing people that have lived extraordinary lives. When I was doing my day job, there was always something missing and that was always the audio. If I stop podcasting, if I stop radio, it just wasn't the same for me. Ginni Saraswati: I guess I was listening to all these podcasts by Gary Vaynerchuk and Lewis Howes and Tim Ferriss and all these different podcasts I was listening to during my day job, which really inspired me to go, “Okay. I'm going to go all in.” When I started The Ginni Show Podcast, it got nominated for a couple of awards, which I'm so honored for still to this day. People started to come up to me and ask me, “How do you do this? Can you show me how to do a podcast?” I kind of just fell into it, Doug. It was just purely by accident. I had no intention of doing that when I started doing the podcast. Ginni Saraswati: But I think traditionally when you go into podcasting, your belief is the only way you can make money is through sponsorship or advertising revenue. This wasn't the case at all for me. I went in there and I thought, “Okay, cool. I might get a couple of sponsorship or this might just be the thing that gets me out there to do some gigs,” all that kind of thing, but this is what resulted of it. I've kind of fell into producing podcasts for others. I absolutely love it because I learn so much from my clients about the journey they go through and their stories. That's a very long answer again, Doug, but it kind of sums up how I fell into podcasting and a full-time business for my day job. Doug: Well, it's interesting because I often think that people have the structure and plan where they've settled all the things they want to do and they just start marching towards that. It's encouraging to hear that as you said you took something that you really loved and out of that passion and love for the media a business opportunity arose, which you obviously seized. Ginni Saraswati: Traditionally when people listen to the radio, it's within a meter away from you and you generally listen to radio alone. It's not one of those things that you do on a Friday night over popcorn and be like, “Okay. Let's put on the radio or let's listen to a podcast.” This is why it's such an intimate medium and podcasting also because now with the advancements in technology, you're literally in someone's ear. That is such an intimate and impact space to be in because you don't let very many people close to you that way. I think that's why podcasting has become so powerful and such a powerful tool of communication. Doug: Oh, that's true. I mean I had never thought of it that way, but you're right. I listen to somebody speaking at one of the direct marketing association meetings and she runs a large publishing company. She's talking about the different media and the way that you use this. You're right. We don't really get together with our friends and say, “Hey, let's all listen to a podcast.” I might say to you, “Hey, Ginni. Check out Tim Ferriss' last podcast,” but again that's a recommendation and it's a one-on-one relationship I've had with him for that 30 minutes I'm on the bike or whatever it is I'm doing. Doug: Tell us a little bit about what sort of work you do. I'm thinking we've got listeners that may look at podcasting as a media to expand their business, to reach a new audience or provide a service. I guess lots of times people look at this and it's overwhelming. All the things that you need to do to go from the, “Hey, we shall have a podcast for our company or brand,” to actually getting it out there. A lot of people shy away from it because of that. What are the things that you can actually outsource that you don't have to do yourself? Ginni Saraswati: For example, if you're going to do a podcast that you're going to be traveling to rural or regional areas of your city, obviously time might not be a luxury that you have. I think you've got to look at why you want to do it and then unpack it from there. How much time can you actually invest in this podcast? Can you put a lot of time into it because the more investment of your time that you can put in, the more that you can kind of analyze your skill set? Do you want to put in the time to do some courses or watch some YouTube tutorials on how to edit a podcast? If you really want to do that, well, then that's kind of a great place to start of how you can kind of minimize cost for you. Ginni Saraswati: But if you're that type person where you're like, “I have too much on my plate. I want to do this podcast. I want to make an investment,”there are so many opportunities out there. There are all these courses. You can go to so many freelancer sites and hire different people to do different things for you, audio editing or what not. If you just want to walk in, record your files and drop it in like a Dropbox or Google Drive or what not and let whoever the editor takes over it, that's exactly what you can find. It's literally at your fingertips, but it really comes down to the investment that you want to put in. Ginni Saraswati: It's not an investment, and you would know this too, Doug, doing this for a year now, it's not an investment that you make for a week or a month or three months. This is an ongoing investment. Think about the long-term as well. Are you going to be able to keep up this amount of time? Are you going to be able to keep up this amount of self-resourced vehicles that you've built for yourself? I think it's important to start there, the why and how much time investment you're willing to put in. Because a lot of people find themselves saying, “Yeah, I can do it. I can handle it,” and they stop because they're too overwhelmed with what they have to learn. It's really about having that honest conversation with yourself. Doug: I think that's what I've seen as well. I guess the other side is, you brought up a good point, this is a long game. The idea that I'm going to start a podcast and I'm going to generate enough revenue right off the bat to cover my costs or to live on I just don't think is a reality. Ginni Saraswati: Yeah, absolutely. It's interesting too because some of the stats that Nielsen brought out for the 2018 podcast stats were there's over half a million podcast on iTunes alone, but only 46 to 48% of them are still active. Sorry, 46 to 48% of them are not active. It goes to show that people do start a podcast, but they don't think about the long-term game of how we need to keep doing this. Because you can say, “Hey, I have a podcast out there,” but if it's not relevant if it's not credible if it's not keeping you … If it's not going at the moment, it's one of those things where you need to really think about the time. They call it pod fade. A lot of people go through that pod fade where they do eight episodes. It's roughly the time where they tend to fade out. They just go in all in, all out and they find out it's not sustainable. Doug: I remember reading those stats and remember thinking, “Wow. I got past seven, so when I do eight I'm going to be ahead of most people.” Then when I hit my 100th episode, I went, “That's not really a big deal.” Then I started talking to a few people who went, “No. A hundred episodes is a lot of episodes.” I mean most people like you said, don't make it past eight. Ginni Saraswati: Yeah, absolutely, Doug. You should give yourself a pat on the back because a hundred episodes is a great master. Clearly, you've formed a routine for yourself and you've clearly figured out what works for you to keep these podcasts churning because it's valuable content now. Now that we have access to millions and millions of content pieces from podcast or audio to Alexa skills, anything. We've got access to that. If you keep creating content, you'll keep showing up. Doug: Is there an example you can share with our listeners of a particular podcast that you worked maybe a client of yours and how you walked them through this process and what the end result is or was? Ginni Saraswati: Absolutely. Every client's going to have different needs. If you're a corporate client, obviously the demands and expectations on your time and your deadlines are going to be different to an entrepreneurial client. But a lot of my clients are entrepreneurs and I guess where they I guess hit a point of I guess freak out or overwhelm is in the process of creating it. I giggle about it now because I've seen it happen so many times. What comes up a lot with my clientele is impostor syndrome where … I find it hilarious because the clients that I work with, they have achieved amazing things. Ginni Saraswati: I'm like, “Seriously you're questioning how you can get behind a mic and talk where you've done so many amazing things,” but they go through this cycle of impostor syndrome of who am I do this, I can't do this. When the overwhelm kicks in, you just naturally as humans as we fall back into fear, we talk ourselves out of it. Right now this is too much. This is too overwhelming. I can't do it. It's coaching through that impostor syndrome about going back to your “why,” which is why I start with why are you doing the podcast? If we hold that intention, if we set that intention before we start actually creating the content or the audio, we know what we have to fall back on. Ginni Saraswati: We're very aware of where we're going. That's the first thing, talking them through the impostor syndrome. The next thing I kind of do is I kind of assess how comfortable they are with technology because with podcasting now, with the hundreds of microphones that are out there and there's XLR, there's USB, there's obviously a difference between the two, but if a client is comfortable with technology and they have a budget as well, so I see how comfortable they are with technology or see what their budget is, then I recommend the equipment for them to what they use because everyone's equipment is going to look different. Ginni Saraswati: Someone who's not comfortable with technology I'm not going to recommend them a very complicated digital audio workspace with an XLR mic set up. I'm not going to recommend them that because that will probably be too overwhelming for them. Ginni Saraswati: I guess my process is, Doug, to kind of look at what's going on with the client whatever it is and eliminate those points of potential friction for them. That being how they operate equipment, how to prepare for a show, how to record a show, what to do with the audio files after the interview is recorded. There are things like that that I talk them through an initial strategy. Over time as they do it week in, week out, they get used to it. One of the things I found is when a client starts doing podcast recordings, they go all in. They're very excited. They're recording like three, four a week and then they find they get overwhelmed. Ginni Saraswati: We have to really scale back and be like, “Okay. Only record two days a week or one day a week and then we've got enough podcast in the bank to keep us going.” It's a lot of I guess you've got to listen to what the client isn't saying and watch what they're doing as well. Ginni Saraswati: Absolutely. That's the thing about having a podcast coach or a podcast producer there for you. Someone that you can talk to about this process. Because I've been through this with at least 30 other clients before, so I've gone through this process many times with my clientele. Having that person there to talk to will help talk you off the list, but also hold you accountable to what your goal is. When you look at personal training, now, I'm the kind of person sometimes I need that person to be there to be like, “What are you doing? Don't eat that. Make sure you do 10 push-ups.” I'm that kind of person when it comes to my health and fitness. Ginni Saraswati: I'm that kind of person who has a gym membership, but I'll walk to the subway, see the gym and then I'll go down the stairs and avoid the gym because I'm happy to pay that gym membership. But if I know I have a personal trainer in there waiting for me who are allocated that time, that hour for me just for me, I will feel bad about letting them down, so I will avoid the subway steps and walk into the gym to see them. It's that accountability factor that a coach, a trainer, whatever you want to call them, a mentor brings that really does help you see your results a lot sooner. You're reminded of it so frequently that it's just going to be embedded in you in what you do. Doug: For me, the way that I got around that was I decided I was going to podcast on Fridays and Fridays didn't always work in terms of my recording, so I decided to batch them on Thursdays and I do a few on Wednesdays, but 90% of my podcast work is on Thursday. I just block out an entire day of Thursday and I don't do anything that's not podcasting related. I'm either interviewing guests, being interviewed by other podcasters or I'm promoting my episodes or somebody else's episodes. Ginni Saraswati: Right. You've figured out a routine for yourself that works for you. Doug: That works for me, yeah. Yeah, I mean I'm pretty sure it doesn't work for everybody, but I can make that work for me. Ginni Saraswati: I love how you kind of reverse engineered that self-awareness of more like, “Okay. This is what works for me. This is what works for my schedule. I'm going to do it that way.” That's great. Actually, a lot of podcasters I know have like a day allocated to recording back to back and that's it. Some people do it over multiple days. I do it over two days in the week. I do it one day or this day. That's what works for me in my schedule. Really, again, it's that being aware of your time investment. What can you commit to? You're very aware of that, Doug, which is great. Ginni Saraswati: Go for it. Doug: Okay. Marketing. I see the biggest number of complaints about podcaster is about marketing and growing their show. Ginni Saraswati: Okay. When you mean it as a pain point, they're like, “Oh, how do we do it? We're not able to market it?” What's the pain? Okay. Doug: The pain point is I want more listeners. I want to grow my show. I want to have a higher rating, a better placement in iTunes. Ginni Saraswati: Right. Okay. There are a few things there. Do you get a lot of these complaints, Doug? It sounds like you're quite behind this. Doug: Well, you know, I want to make sure I'm keeping up with what's going on. I'm in the media marketing advertising buying space, so I always think that those questions are interesting because I'm not usually using organic tactics. We're using pay to play. Ginni Saraswati: Right. Well, there are a few things that we could actually start off with looking at when it comes to marketing or when it comes to growing your podcast audience. I actually do have a blog about this. If you want to go it, I can send you the link for show notes afterward, Doug. If you want to grow your podcast, obviously get more listeners, it's kind of that point in the process where we got to kind of unpack the podcast. One of the things that have come up for me and my clientele recently is the day of the podcast. A couple of my clients were putting the podcasts out on Friday, Saturday, and Sunday. Now, when it comes to the day of release, a lot of people ask me what's the best day to do a podcast. Ginni Saraswati: Well, the best day is the same day as the last day. But if you are going to change it, you need to announce it and you need to stick to it. There is that commitment to the frequency of the podcast. If you're not Oprah, if you're not Gary V., if you don't have an established big kind of following, you kind of have to go where the crowd is if that makes sense. You got to go to the stadium where the audience is that's willing to listen to you. In my experience, podcasts are most listened to around the start of the week, so your Mondays to your Wednesdays. Because around Thursday to Saturday people are starting to think about their weekend and they're winding down. Ginni Saraswati: One of my clients, we moved his podcast from Friday to Tuesday and we've seen a significant spike because we're now … What we're actually doing with the podcast listener is we're shifting their mentality from having us be a weekend listen to a commute listen or like we're incorporating our podcast into the day. It's only a very subtle shift. We just have to change the day. That's all it really was. But now the listener's behavior towards the podcast has changed. Okay. We're not a podcast that gets listened to over Sunday brunch or coffee or reading the paper or whatnot in the background. We're a podcast that gets listened to during their commute. Now we've automatically become a part of someone's day. Ginni Saraswati: That's a little thing like there. In terms of marketing and growing the podcast, the best place to start is not to be romantic with your podcast. I know Gary V. Says, “Don't be romantic,” but it's the truth. Figure outing your podcast. What are people liking? What are they not liking? What do they want more of you? If you're not hearing that from your listeners, put a post out on social media saying, “I've got this awesome guest coming on. What should I ask them?” Now, there are two cheeky things about that kind of post because one, if your audience is really going to be excited about that guest, they're going to do your show for you because they're going to give you the questions. Ginni Saraswati: You're going to have some of your show prepped on. The second thing is you'll be able to learn about your audience and what they care about because the questions that they will put to you maybe about health. They may be about luggage. They may be about pens. You don't know, but certain things that they bring up in that conversation or in that kind of presentation of what they want to ask this guest, that's a data point for you to move forward and to create. Finding I guess those extra layers about what your audience cares about, that really helps grow your audience because you can really get inside creating that kind of content that's valuable to them. Ginni Saraswati: Another tip I have for you is think about how many apps that you're on. Are you on like only two apps? Are you on three apps? Are you on four apps? By apps, I mean Apple Podcast, Spotify, Google Play, Stitcher. There's a whole heap of them. Ginni Saraswati: But check out how many apps that you're on because if you can be on more apps, you can reach more people because not everyone listens to Apple Podcast even though they have the majority of the market share. Other people prefer Android devices. You've got to kind of look at that as well. Where are you distributing your podcast? Where can you actually hit the ears of the people that you want to reach? I guess the other thing is a key point that we should start doing, whether you're doing a podcast, a vlog or something else, is repurposing that podcast into a medium that people actually enjoy consuming. Ginni Saraswati: What I mean by that is when you look at humans as a whole, there are three ways that we consume media or communication is that we read things, we watch things and we listen to things. Now obviously a podcast is built for those who prefer to listen to things and obviously generally the podcast population, the listeners of podcasts like to manipulate time because audio is the only medium that allows you to consume something in your own time while you're multitasking doing something else. You can't do that with video and you can't do that when you're reading something. You have to give those two mediums your full and undivided attention. Ginni Saraswati: But you have to also understand and deploy that empathy that people out there in humanity they like watching things and they like reading things. How can we turn the podcast content into like an audiogram where it's a video of you talking and words are popping up or a quote card where you drop an awesome quote or a value bomb and you can turn that into like a picture graphic that you pop on Instagram. Instagram loves motivational quotes and those shiny graphics. That's called repurposing your content. Think about how you can reach a bigger audience just by simply repurposing the podcast audio that you have. Ginni Saraswati: I think there are about four tips for you there, Doug. I can give you more, but I hope that's been a value to you. Doug: Yeah, no, I think that's really good advice. I looked at your content. You and I had this discussion before we started recording are that your content looks really good. Looking at your Instagram account and your Facebook account, you've got the audiograms, you've got the quotes, you've got great pictures, great vivid colors. They draw your attention. It's just good to hear it from somebody who is an expert in the space because often people are going, “What do I need to do?” As you said, you've got the content. You've got probably five or 6,000 words of written content for search engines. Now take that and put it in bite-size pieces and use it over and over and over again. Ginni Saraswati: Absolutely. If you're an entrepreneur as well, which I'm assuming a lot of your audience is, Doug, think about platforms that entrepreneurs go to like LinkedIn, like Entrepreneur.com. Think about those platforms. 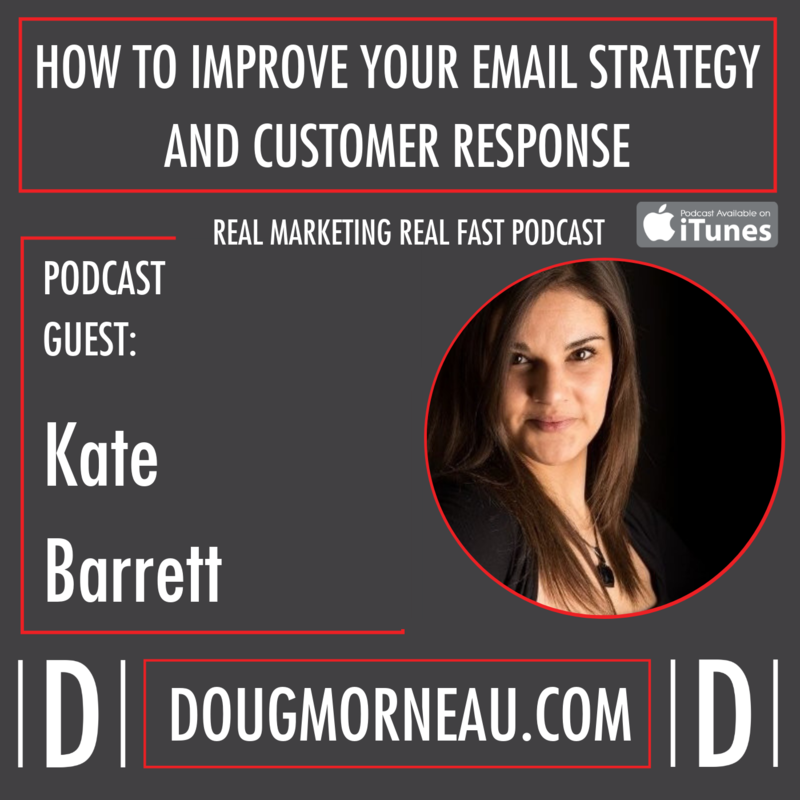 If you've got a podcast, your podcast like this podcast, Doug, you could transcribe this and kind of repurpose it into a LinkedIn article are a blog or a medium article. That is putting essentially the podcast content in text form to a platform where your audience lives. Ginni Saraswati: That's essentially what you have to start thinking. Doug: Yup. That totally makes sense. Looking forward in the next six, eight, 12 months, what are you most excited about? Ginni Saraswati: Well, that's where it confuses people because I'm Sri Lankan born. Hence, I look the way I do. I sound Australian and I live in New York, so a lot of people it confuses the crap out of them. I have to kind of give them the back story of where I'm from. To your point, what I'm looking forward to most. Last year was very much a year of me I guess settling into a new city, settling into a new routine, which was … When you're an entrepreneur, you know when you're running your own business, you've got to form a routine of self-discipline. It was the first year that I was kind of running and doing things. Ginni Saraswati: I was just saying “yes” to a lot of things, which I'm grateful for that I did because every experience bought a learning curve or a lesson for me. Last year was very much about building and putting a foundation down, which I think I managed to do with the resource and tools that I had last year. This year I'm looking forward to kind of working more on myself. Now, I think when you're running a business, it's like another child. I think the more that you work on yourself in terms of accountability or how optimistic you are about things, I think when you start working on yourself, you can really be of more value to your business, your clients and your team. I think that's kind of what I want to focus on this year. Ginni Saraswati: I've declared this, Doug, so I'm going to declare it here. It's a year of self-love for me. I'm going to start my day. I've invested in this Mastery Journal, which helps me put my time into the things I want to do. I can do things out of self-love or do things, tasks that matter to me the most and then I can start being of service to my team and my clients and etcetera, etcetera. That's what I'm looking forward to over the next six to eight months because I'm excited to see what this journey brings. Will I be 10 pounds lighter? Will I be happier? Will I have more energy to do things? I'm actually really excited to see what happens. Doug: Oh, good for you. That's so exciting. Is that the JLD Mastery Journal you're talking about? Ginni Saraswati: Yes. Yes, absolutely. Have you got it too, Doug? Doug: I don't, but I saw them when they started publishing it a few years ago. Ginni Saraswati: Yeah. It's pretty cool. I've never had a journal before that holds me accountable, but it's just got me into a routine of okay, these are the things that are important to me. I'm setting my intention for the day. I know exactly what I'm going to be doing as soon as I wake up, which is really helpful. 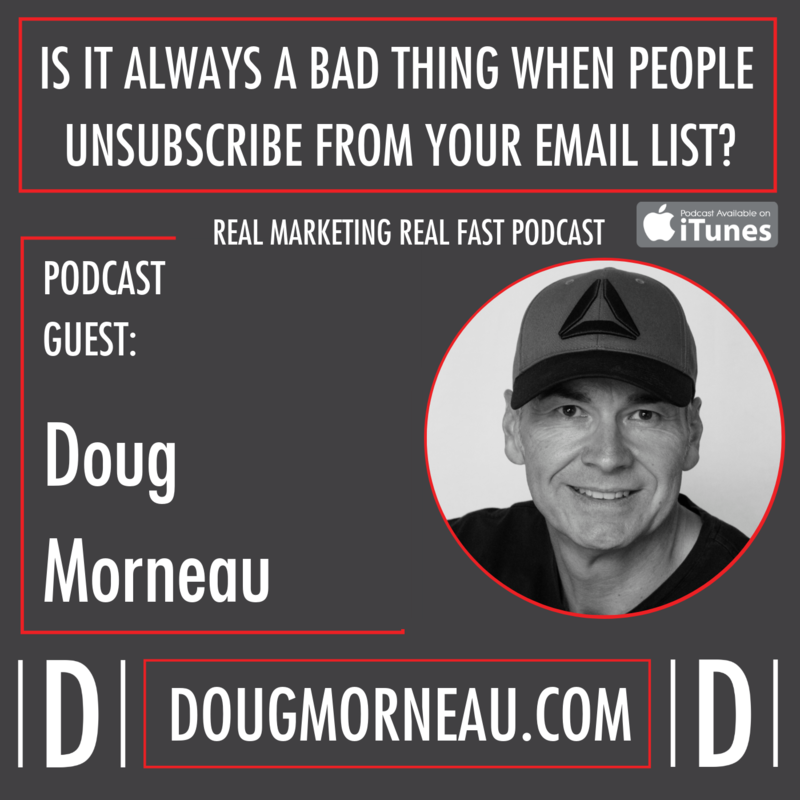 Doug: I think lots of times entrepreneurs … I know I was super guilty of this. I did everything around work first and you don't take care of yourself. What I found was when you're unhealthy you're not as productive. You're not good for your team. You're not good for your business. Realizing that you're at the center of the business, you're the driving force, the CEO, if you're not performing at 100%, your business is going to suffer. Ginni Saraswati: Exactly. Exactly. It's that investment and the energy that you pour into it. Doug: Yeah, absolutely. What is some of the bad advice? We talked about Tim Ferris, so I'm ripping this off out of his last book. What's some of the bad advice you hear about people that are wanting to start a podcast or use that as a business tool? Ginni Saraswati: It's that mentality of the short game again that we discussed before. I think people who have that mentality of going in “I want to make 10K in three” or whatever the financial goal is, I think going in with a result driven goal rather than an overall vision is going to really deflate the organic process and the growth that you'll have individually and on the podcast. Doug: Yeah, okay. That's a really good point. I mean I knew it was a long game. My expectation when people ask me, “Well, what about monetization,” it's like, well, my monetization strategy really is an opportunity to build relationships with really smart people that are in technology and marketing that I can potentially do business with long-term. Not necessarily to sell my service, but to buy their service. It's a long-form interview for potential suppliers. It's been a great relationship for me because I've made some great contacts with people that are really smart people in their own space. It didn't mean that someone had to write a check to your point of monetization. Depends how you define monetizing your podcast. Ginni Saraswati: Exactly. Exactly. Defining and monetizing your podcast. A lot of people kind of think traditionally and they're like, “Oh, you know, we can only make revenue through advertising,” which is what I thought was the only possible way, but there are so many other ways. This could potentially bring you more money in because people really want to hear what you have to say and people value your advice and guidance. Doug: If you do want to make money, you can go to either Pat Flynn's site or JLD's site Entrepreneur on Fire and click and download their financial statements of the previous month and see all the places they made money for the podcast. Ginni Saraswati: That's what I like about JLD because he's very transparent about that. He's like, “Oh, this is how much I made from affiliates. This is how much I made from advertising.” It's great to see. JLD's a great example of like the opportunity of the podcast has brought him. I think when you're going in, that's why it's important to start with that intention because if you do want to turn it into a revenue stream for you, there are so many possibilities that you could look at, but it's about getting into that routine of putting out the valuable content one foot in front of the other every single day that will get you there. Doug: What kind of fills you up? Ginni Saraswati: Fills me up in terms of like food wise because it could be for a while, Doug. Doug: No, I mean what makes you really happy? Ginni Saraswati: What makes me really happy is I guess it's gratitude. I find, Doug, that it's one of those things with gratitude that it's the key … I don't know if it's a virtue. A key practice let's just say. Gratitude is a practice that really anchors you into the present. A lot of humans, myself included, struggle to stay in the present, but gratitude is what makes me happy. It's that reminder of where I am right now, how I'm feeling and just the gratitude of things that I probably take for granted in my day-to-day grind that I just stop and reflect and go, “You know what? I'm grateful for the fact that I have legs. Ginni Saraswati: I wouldn't be going on this walk if I didn't have legs.” I complain about running when my trainer is like, “Five minutes on the treadmill.” I'm like why? Why would you do this? Who are you? I am grateful because if I didn't have legs, I couldn't run. Think of the people who dream to run or dream to feel the pavement beneath their feet. I think it's gratitude that makes me happy. Gratitude. Ginni Saraswati: Once I'm feeling that kind of joy and I guess the sense of purpose and presence, I know this sounds really woo woo, that kind of I guess emanates the other parts of my life where with the quality time that I spend with my loved ones and the quality time that I spend with my team and building a team, just the opportunities that I have in life, I'm just so grateful for. It all starts with gratitude. Doug: It totally makes sense. I remember the first time that that really sunk into me. I was flying back from New York and I normally fly Cathay Pacific because it's a great flight. Opposed to complaining that I'm flying out of JFK and the plane's always late, I'm thinking how lucky am I to be in a Cathay Pacific flight. I'm sitting having a nice meal and a glass of wine. I'm flying business class. How cool is that to be able to do that and have the company pay for it as a business expense? How many people would love to be able to go to New York and just hang out for a week? Ginni Saraswati: Exactly. I mean that sort of thing, the opportunity that you have and that you've created for yourself, ultimately that's what's happened. You've created this for yourself and you're able to do it because you've created it for yourself. Taking that time to reflect on, “Wow. This is pretty cool. Not everyone could do it.” There was a time where I wanted to slap my boss in the face because I did not like my job. I'm a little bit more refined obviously with my anger and my ego now that I probably … If I walked in that circumstance, I wouldn't want to slap him in the face. I'd probably just quit. Ginni Saraswati: But it's just one of those things that you think about the opportunity that's come to you and you reflect on it. I can't imagine doing anything else. Doug: That's so excellent. I mean I listen to people that have a business. It's great to hear someone that's so full of joy and energy. I love the picture that you've got of you sitting in a leather jacket and a bright colored shirt. Probably New York City I'm guessing. Ginni Saraswati: Well, that's actually in Melbourne, Australia, my hometown. That actually launched when … That picture was taken when I launched my podcast. Doug: Not the Chrysler building behind you then. Ginni Saraswati: No. No. That's not the Chrysler building. No, but laughing is my favorite pastime, so it's pretty cool. Doug: Two last questions and I'll let you get back to your day. The tough one that stumps everybody. We'll see. As an expert journalist, I'm sure you'll nail this one. Who's one guest I absolutely have to have in my podcast? Ginni Saraswati: Oh, this is I think for you, Doug, given that I've watched some of your Instagram videos, you got to have Gary V. on. I mean even if it's a [inaudible 00:35:23] Like those fashion tips. I've got to say too, as a podcaster where video cameras aren't always in your face like you would be a vlogger, the hair game has got to be up there. When I was doing breakfast radio, I will be nice daily because I just couldn't be bothered doing my hair. I walked into the studio and people like, “Oh, that's really cool. You look really cool.” Great. I'm glad you think I look cool, but really I haven't done my hair, but they don't need to know that. Ginni Saraswati: Gary V. definitely I think because he's clearly the beanie game, but also when it comes to content and repurposing content, he really is the master bible when it comes to that. He really knows hacks and tricks of the game because so passionate about it. Ginni Saraswati: He's great with that stuff. If you want to learn how to grow your podcast, your vlog or how to repurpose content, he's king when it comes to that. I think that's a great place. Amy Porterfield I think would be great too, Doug, because she's also … I joined one of her webinars the other day, but the way she talks about courses and scaling and fears, she's amazing too. Gary V. and Amy P. I've just dubbed her a new name. Those two. Doug: Okay. There we go. Awesome recommendations. Yeah, I bought some of Amy's materials and we did have a chance to meet Gary V. when he's in Vancouver. It was almost like a cult-like meeting where when he walked into the conference center, there was a rush to the stage for everyone to go see him. It was kind of funny. Ginni Saraswati: That would have been really interesting. Doug: Where is the best place for people to reach you? I don't want you to be shy. I want you to tell us all the different places where people can track you down, hunt you down and learn more about you, see what you're doing and learn about the services that you offer? Ginni Saraswati: Absolutely. Thank you, Doug. You can find me in various places. I guess where you can find me personally is on social media where you can check out Facebook, Instagram, Twitter, @TheGinniShow. Again, highly narcissistic, but I will be there and I do respond to all my DMs and comments. That's all me. Please do hit me up. I'd love to hear about what you're doing, how you're living your life, what makes you happy. I love talking to people and I've managed to stumble and make a career out of it as well. That's where you can find me on social media. You can find me also through my company Ginni Media. Again, highly narcissistic, but it's just the way that people know who's running it. Ginni Saraswati: If you go to ginnimedia.com, all our list of services are there and we're available on Instagram, Twitter and Facebook, @GinniMedia as well. Please do hit me up if you have any questions about podcasting. We've got a ton of free resources on our site. We've got a few blogs. We've got free eBooks. 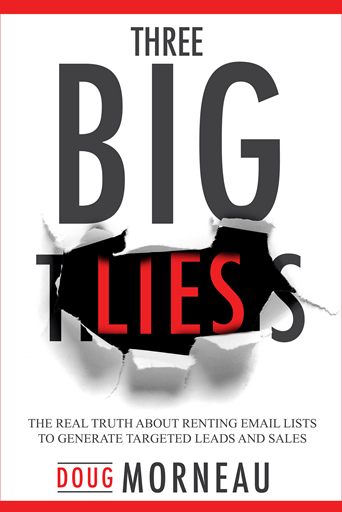 We just launched a $300 eBook, which is free. You don't even have to pay 300 bucks. It's free for you. It's called How to Launch a Podcast If You're Thinking About Launching a Podcast. It takes you through in detail the five steps that you need to think about when you're launching a podcast. That is free and on the side for you if you need any tips or have any questions for us. Doug: Well, that's so generous. Thanks so much. I appreciate you taking your time and being so honest and transparent and making those resources available. Ginni Saraswati: Thank you, Doug. I've loved being on your show. Thank you so much for having me. I'll have to get you on my show. Doug: That would be awesome. Next time I come to New York, by then you'll know all the hot places. I haven't been there in a year or so. Ginni Saraswati: I'll have to take you to the Australian places because that's where the good coffee lives. Doug: That's hilarious. We ended up in an Australian bar in Hong Kong once, which was the weirdest thing to leave downtown Hong Kong and go into this Australian bar listening to this band. I'm thinking, “Wow. We walked back like 50 years into time.” It was kind of interesting. Thanks again, Ginni. I really appreciate you sharing with us. I'll make sure that we get all your show notes transcribed. Listeners, I would highly recommend that if you want to see how to do it right, go take a look at Ginni's resources. Look at how she's producing and promoting her own show. Doug: There is lots to learn just following somebody like her and understanding what she's doing because obviously, it's working. Thanks again for tuning in and I look forward to serving you on our next episode.